Deterrence and peace are two words that contrast starkly with each other.This paper was originally prepared for the Nobel Institute. The author is grateful to Alice Pannier and Elbridge Colby for their thoughtful comments on an earlier draft. This version also takes into account a discussion held at the Nobel Symposium held in Bergen, Norway in June 2016. At the root of the first one is the Latin verb terrere, to “terrorize”. Not an easy match with “peace”. 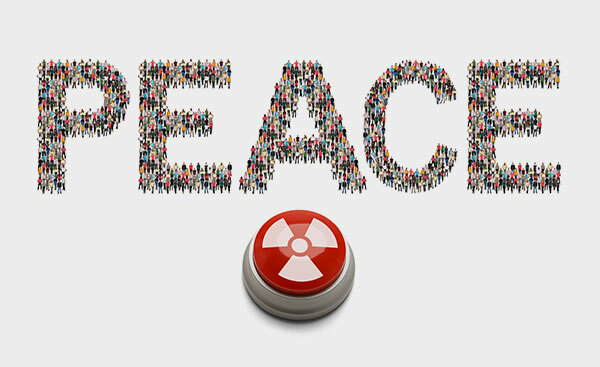 Whatever impact deterrence has on peace, this mismatch calls for a rather restrictive definition of peace, understood here as the absence of direct, open military conflict between two parties (including when they are still, legally speaking, in a state of war, such as North and South Korea). It is restrictive in the sense that, just as democracy is not only about elections, peace is not only about the absence of war. In the contemporary public debate, deterrence is often understood as a process through which a party is prevented, through a rational calculation from its part, from attacking another because such aggression would trigger nuclear reprisals which would exceed the expected benefits of aggression. Such a restrictive definition is unwarranted in four respects. Deterrence is not a concept limited to the military domain: it operates in many aspects of human life, with some dating it to God’s threat to Adam and Eve (to not eat the fruits of the Tree of the Knowledge of Good and Evil under penalty of becoming mortals). In the strategic domain – that of State-to-State relations, the focus of this paper – deterrence is not only nuclear: it also exists at the conventional level. It can be exercised through “denial” (persuading the adversary that achieving its goals would be difficult because of the obstacles it would face) as much as by “retaliation”.Glenn H. Snyder, Deterrence and Defense: Toward a Theory of National Security (Princeton, New Jersey: Princeton University Press, 1961), 15. And it has never been based solely on a rational calculation, even though most Cold war deterrence theory – just like economic analysis – was premised on the rationality of actors. Emphasizing the origins of the word “deterrence” helps reminding analysts that there was always an irrational component to the concept it embodies.